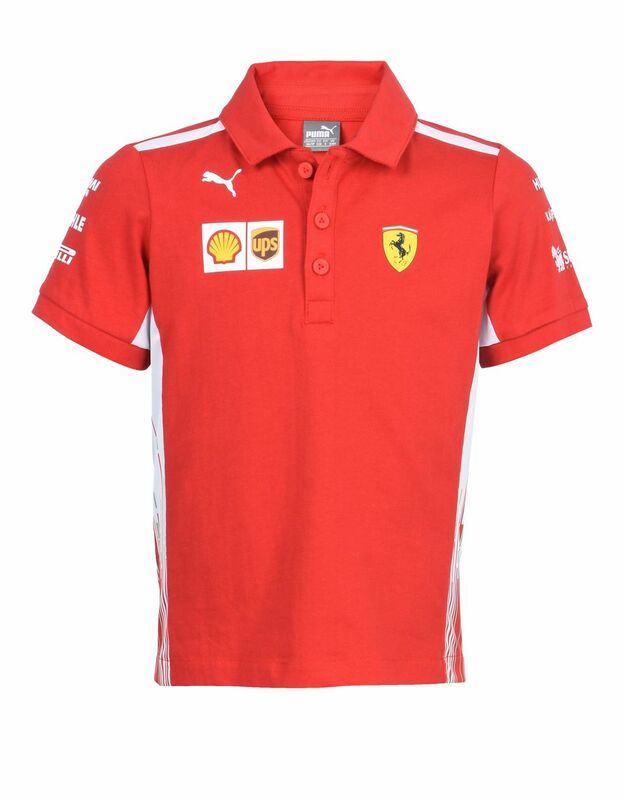 This new short-sleeved polo shirt for teens is a replica of the original Scuderia Ferrari 2018 model and features graphics inspired by the colours of the Italian flag on the sides. 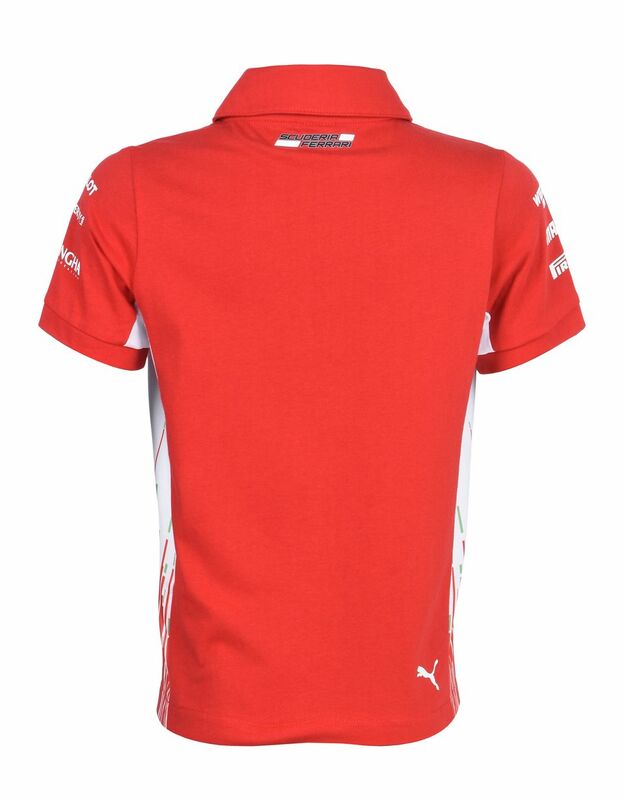 Made with the utmost attention to detail, the new Scuderia Ferrari Replica polo shirt accurately reproduces the clothing worn in the paddock by the Formula 1 team. This regular fit polo shirt features short sleeves, collar and central button fastening. 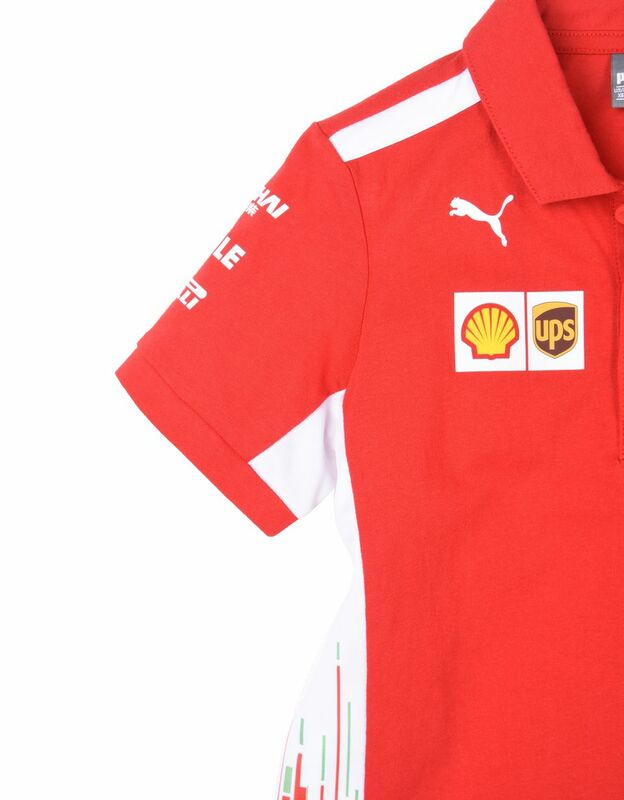 The iconic logos of Scuderia Ferrari, Puma and the technical sponsors stand out on the front.